Sometimes a good idea hits you in the head. Literally. That’s what happened as I was making these muffins. I had spotted Shab’s Easy Peasy Banana and Chocolate Chip Muffins on her blog Yum & Delish and decided to give them a try. What I loved about her recipe is that it had lots of banana in it, and I had a bunch of ripe bananas sitting on my counter. As I began mixing up the muffins, I went to my cupboard to get my chocolate chips. I keep them way up high on the very top shelf of my baking cupboard so as to discourage eating the chips up before I can bake with them. Anyway, as I was digging through my stash of chips, a bag of peanut butter chips fell from the shelf and hit me on the head. I looked at the bag and thought, "Hmmm. Banana and peanut butter might make a good combo for these muffins!" My boys have always enjoyed bananas and peanut butter. It started years ago when we were visiting my mom and she taught them to make what eventually became known in our house as “Gramma Grams”. My mom took a graham cracker, spread peanut butter on it, then sliced a banana and put it on top of the peanut butter. She topped the bananas with another graham cracker to make a sandwich. My boys still make these for an occasional snack, and I knew they would like the banana and peanut butter combo in the muffins too. The muffins were definitely “Yum & Delish”. They would be great with either regular chocolate chips or with the peanut butter chips. I didn't adapt Shab’s recipe much—I just doubled it, used a mini muffin pan, and changed the chips. 1. Spray mini-muffin pan with cooking spray or line with paper liners; preheat oven to 350°F.2. In a large bowl, mix together the bananas and the melted butter.3. Add the eggs, vanilla, and the sugar; mix well.4. In a separate bowl, combine the flour, baking powder, soda, and salt.5. Gradually add the dry ingredients to the wet ingredients; mix until just combined.6. Gently stir in the chips.7. Fill mini-muffin wells 2/3 full and bake for about 10 minutes or until muffins test done.8. Remove from pan and allow muffins to cool. Jill, these mini muffins are addticitve for sure. This looks fantastic! I;m made because I just made banana bread with chocolate chips when I could of made your muffins! Dam, bad timing! I'm going to get some peanut butter chips, I've got the ripe bananas and I know my grand sons would love these muffins! I want to get some peanut butter chips too! Those mini banana muffins look fabulous. PB chips are my favorite. These muffins sound delicious...and I'm going to have some overripe bananas very soon! Beautiful, Jill! I love the combination of banana and peanut butter! I have a bag of PB Chips in the cupboard somewhere and can't wait to try these! I love peanut butter...and I love banana...why I never thought to combine the two in a muffin before is beyond me. These sound insanely delish! I am sure if Elvis was around he would devour these. I felt like picking that litle chip atop the muffin. 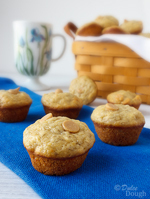 I lovecthe peanut butter and banana combo, and will ahve to rty these muffins. My dog even likes PB and banana more thaN I do, so she would love the muffins, too. I really need to bake more muffins...these look DELISH! These mini muffins are just perfect. These sound delicious! Peanut butter and banana is a match made in heaven! Love that they are mini as well, means I can eat 3 times as many ;)! I eat banana and peanut butter every morning for breakfast! What a great idea to make a muffin with these flavors!!! The peanut butter and banana sounds like a great combination for these muffins. They look delicious. Those muffins look perfect Jill :) . Thank you for you wishes and also have an awesome year ahead , Happy New Year :) . Bananas and peanut butter are one of my favorite combos! These muffins look so wonderful! Love these yummy little muffins. Would love to have it with morning coffee. That's such a funny story, but true analogy! I've always said that mistakes can create art! I loved peanut-butter & banana sandwiches as a child, and I love that you've wrapped up this great combo in a muffin! 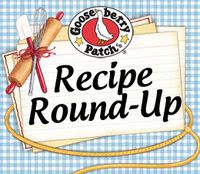 Thanks for another great recipe & I hope you and yours have a truly sweet New Year!